Sleep disorders are more common among children suffering from autism spectrum disorders. 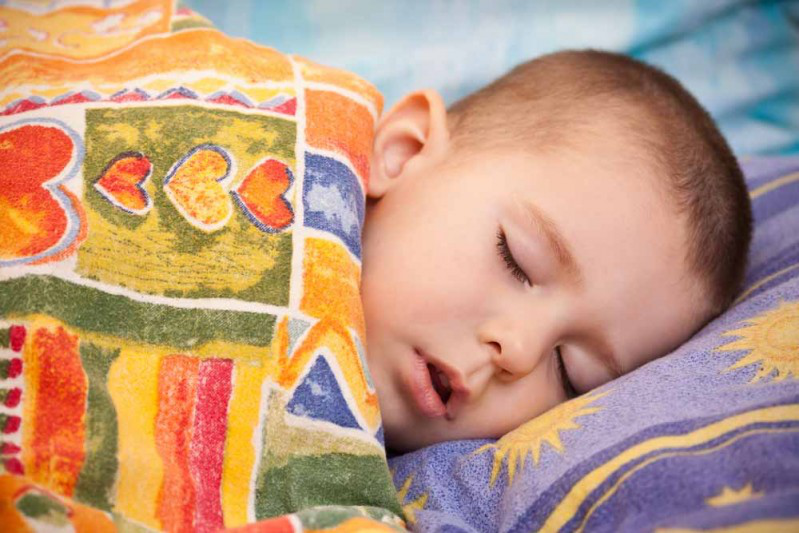 According to researchers, 40-80% of children having ASD also have sleeping difficulties. The major sleep problems in these children are problems in falling asleep, poor quality of sleep, waking frequently, waking early and improper sleep routines. Lack of sleep not only affects the child but also other members in their family. However, there are multiple sleep aids and lifestyle interventions that may help getting autistic child to sleep. Does Your Autistic Child Have Sleep Disorder? In case your kid has difficulty getting to sleep regularly or repeatedly wakes up all through the night, then it may indicate a sleep problem. You should consult a pediatrician to confirm the issue. You may be referred to an ENT doctor or a sleep specialist. You may also track the amount your child is sleeping and when they are sleeping in a sleep diary. You can note down symptoms of snoring, unusual movements, difficulty breathing or any changes in pattern of breathing. You may also note down the behavior of your child the next day. The diary can be shared with the pediatrician or any other specialist who is involved in your child’s treatment. What Are the Effects of Sleep Problems? If your kid is having problem sleeping, then the probability is that you are also not sleeping properly. According to a study, parents of autistic children sleep less, wake up earlier in comparison to parents of non autistic children and have poor quality of sleep. You can try the following steps to get your child to good sleep. 1. Begin a sleep journal: Describe when and how the issues happen. Define the issues so that the problem can be identified. 2. Find out any physical problems or patterns that may be causing impairment of sleep. You can consult your physician, occupational therapist, neurologist, etc. to rule out any medical conditions, prior diagnosis or in case your kid is taking any medicines. 3. Consult a Behavior Analyst so as to address behavior issues that may be causing sleeping impairment. It may also help in gaining assistance in identifying any environmental factors and receiving guidance in forming a bedtime routine and schedule. 4. Create an appropriate bedtime routine: Consistency is the key. Create a regular bedtime routine and try to stick to it. You can use a visual schedule, which your kid can understand to assist in establishing a bedtime routine. Some kids may not understand a visual schedule which uses icons, words or photos. In such cases, you can use objects. 5. Avoid excessive play and stimulation before bedtime in order to getting autistic child to sleep. Your child should be engaged in plenty of outdoor activities and exercise during the day. Outdoor activities including riding bikes, swimming, running, water play and playing with ball may help in expending the energy of your child. 1-2 hours before bed time engage your kid in relaxing and calming activities such as reading, yoga, taking a bath, listening to calming music and massage etc. 6. Designate a fixed place for your kid to sleep and make sure that they sleep in that place only during bedtime. Try to maintain a similar sleep environment and routine as possible while travelling or living in different environments. Use blankets, pillows, fabrics and sheets that are of your child’s liking. Use night lights to promote a calm and relaxing atmosphere. The mattress should be soft and comfortable to sleep and your kid must feel energetic and refreshed after sleeping on it. Ensure that the clothes your kid is wearing at night are comfortable and loose. Observe if your kid is sweating at night and adjust the blanket, clothing or temperature if required. 8. To prevent your child to wander out at night of the sleeping room, you can utilize a camera for monitoring the room where your kid is sleeping. 9. One of the ways to getting autistic child to sleep is to remove all of the distracting items from their room such as computers, televisions, and stimulating toys and hand held devices and games etc. 10. Maintain bedtime routine and sleep environment regularly. 11. If stomach discomfort or food sensitivity is an issue, visit your physician for advice. You should consult a dietitian before making any major changes in your child’s diet to make sure that your kid is having a balanced diet. Limit their intake of stimulants such as caffeine particularly near bedtime. 12. Make sure that your kid sleeps in their own bed and not in your bed or on the couch or at any other place. You may require signs to make your kid understand that they need to sleep in their bed. You may show them pictures that have them asleep in their bed and you watching television in a separate room. When you use the tips mentioned above, sleep problems in your kid may start getting better within initial 3-4 nights. If any improvements are not seen, there may be medical reasons behind your kid’s sleeping problems. You may require professional support to utilize some of the tips mentioned above. You should visit your physician in case the tips you try don’t help within the initial few days. They may refer you to a psychologist, pediatrician, or a sleep specialist. Medicines have been proved to be helpful in some children suffering from ASD. For instance, some kids suffering from ASD when take melatonin supplements fall asleep quickly. These supplements also help them wake up less during the night and sleep for longer duration. This also helps in improving the daytime behavior of some autistic children as they are sleeping better during the night. Melatonin can only be prescribed by a physician. Hence, your kid shouldn’t consume melatonin without the guidance of a physician.